Deliciously scented Sunbird flirts with, and uplifts the senses. It’s the colour of sunshine and when applied is reminiscent of fresh summer mornings. The aroma evokes happiness, wellness and helps to boost overall health and immunity. 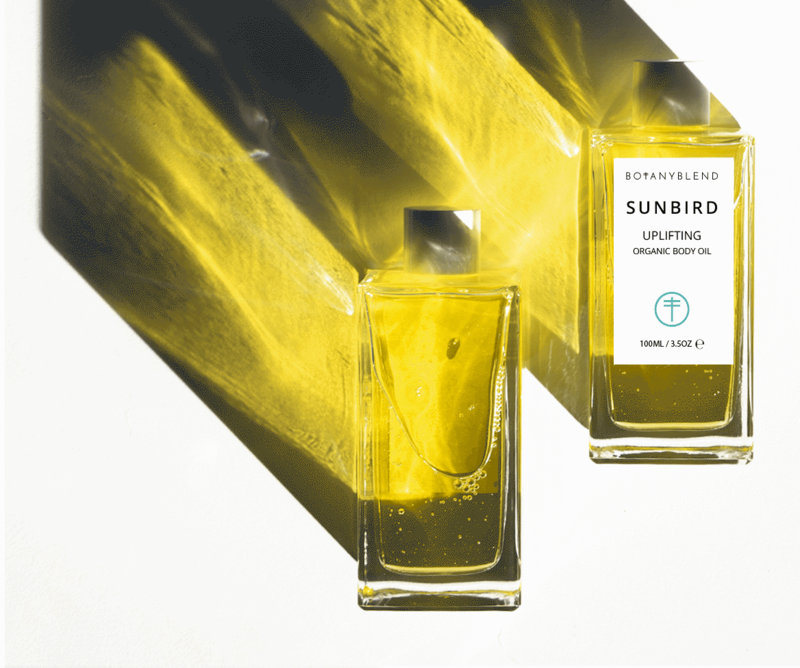 Sunbird is a unique aromatic blend of fresh mediterranean citrus top notes, exotic middle notes of African Neroli, gentle base notes of Myrrh and subtle touch of mint. This lightweight ultra absorbent body oil supports hydration of the skin leaving it soft, nurtured and revived. Using relaxing deep touch pressure, apply directly after bathing to lock in hydration. Gently massage into the skin and inhale aroma to uplift the senses and enhance your wellbeing and immunity. This is a beautiful oil, rich and yet not at all greasy, it just sinks into my skin. And of course the smell is amazing! A holiday in a bottle, which never fails to make me feel good. Thanks Katie.